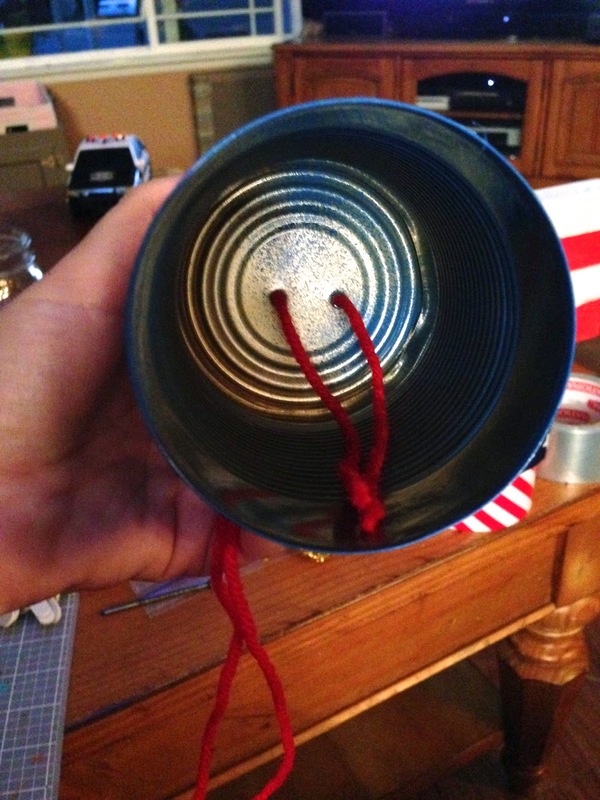 One of the crafts I did with my mommy group this year was making these little tin can windsocks. They were super easy and a lot of fun to make! 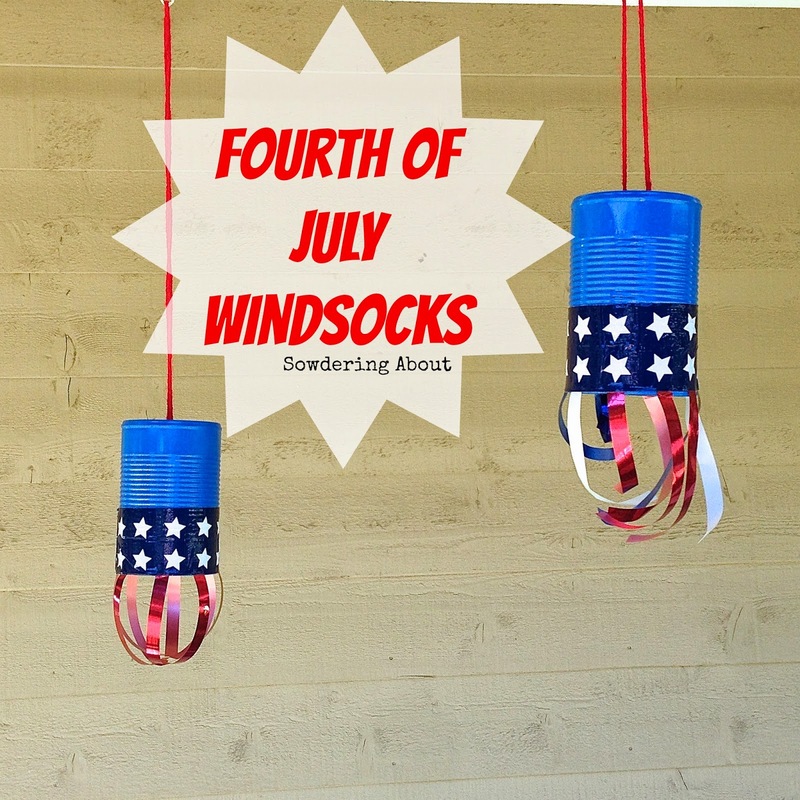 I can also see these being made for all different occasions since you can make them in all sorts of colors and styles for whatever holiday is approaching! See below how I made them! I used Rustoleum paint to paint the cans. I wasn't sure how it was going to work since I haven't spray painted metal yet, but man, this spray paint worked like a charm. 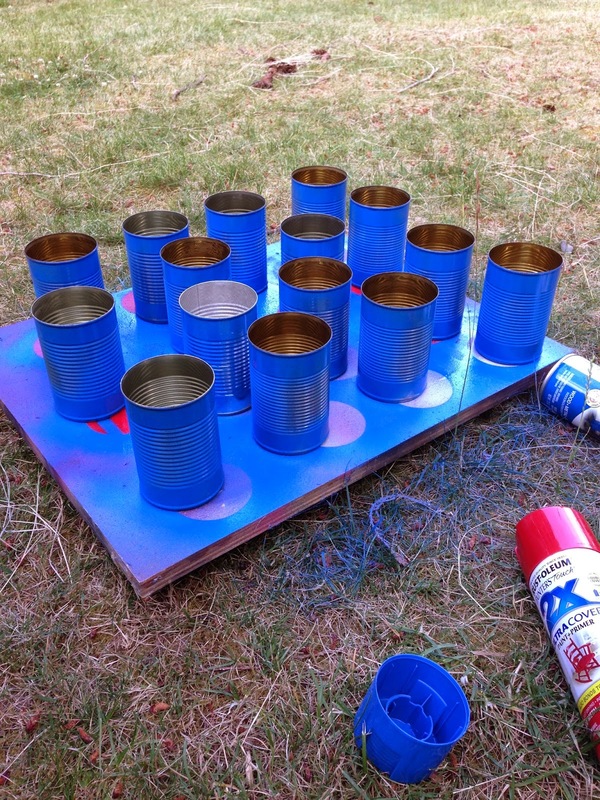 I only needed two coats and that was mainly because I had to flip the cans over to get all the little ridges. I used a hammer and a nail to punch to holes into each can. 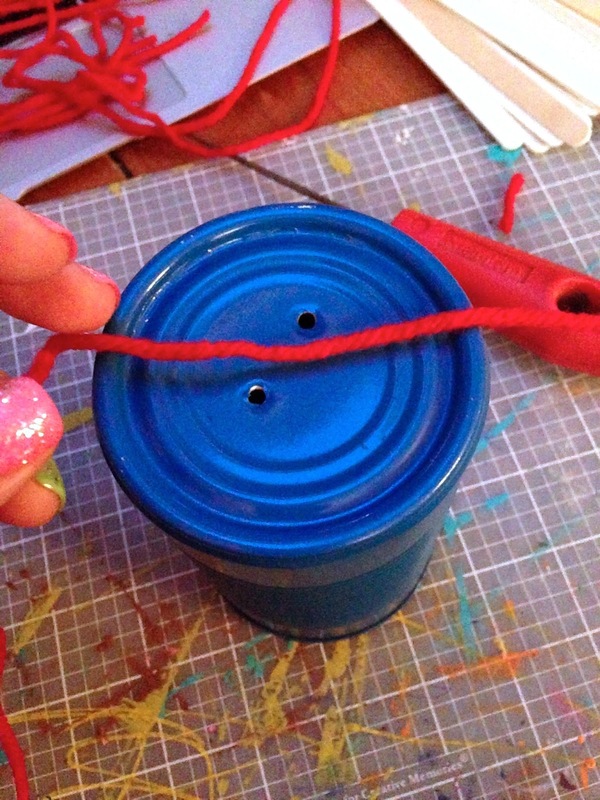 I strung yarn through the holes and then tied them on the inside of the can. Once that was done, I cut the ribbon into approximately 3" pieces, but you could really cut them into any size you want. You could also use better ribbon than I did. I used gift wrap ribbon because Target didn't have the nice fabric ribbon that you can get at Michael's or Joann's. I then laid the duct tape out and stuck the ribbon to the tape. After I wrapped the tape around the can. And that's all there is to it! Super easy right?